Do you need a real estate agent? Do they pocket the whole commission? Let’s set the facts straight. Buyers and sellers often enter the market with misconceptions about real estate agents — how we work, how the process works and what the agency relationship is all about. It’s helpful to point out, without getting too far into the weeds, that in any one real estate transaction, there are most likely two agents: one for the buyer and one for the seller. 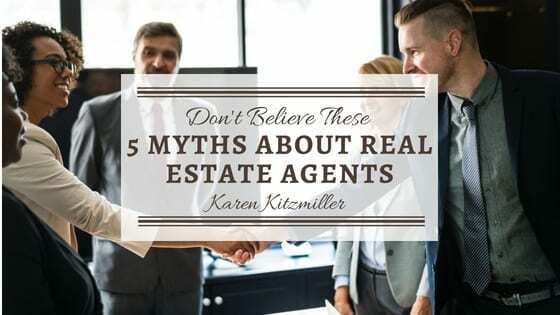 Here are five myths (and five truths) about working with both buyer’s and seller’s agents. Most people assume that their agent is pocketing the entire commission. That would be nice, but it’s just not accurate. First, it’s helpful to know that the seller pays the commission, and they split it four ways: between the two brokerages and the two agents. Finally, the brokerage commission isn’t fixed or set in stone, and sellers can sometimes negotiate it. If you’re a seller, you sign a contract with the real estate agent and their brokerage. That contract includes a term — typically six months to a year. Once you sign the agreement, you could, in fact, be “stuck” with their agent through the term. But that’s not always the case. If things aren’t working out, it’s possible to ask the agent or the brokerage manager to release you from the agreement early. Buyers are rarely under a contract. In fact, buyer’s agents work for free until their clients find a home. It can be as quick as a month, or it can take up to a year or more. And sometimes a buyer never purchases a house, and the agent doesn’t get paid. Before jumping into an agent’s car and asking them to play tour guide, consider a sit-down consultation or a call, and read their online reviews to see if they’re the right fit. Otherwise, start slow, and if you don’t feel comfortable, let them know early on — it’s more difficult to break up with your agent if too much time passes. Today’s buyers get most things on demand, from food to a ride to the airport. When it comes to real estate, buyers now assume they need only their smartphone to purchase a home, since most property listings live online. First-time buyers or buyers new to an area don’t know what they don’t know, and they need an advocate. The listing agent represents the seller’s interests and has a fiduciary responsibility to negotiate the best price and terms for the seller. So, working directly with the selling agent presents a conflict of interest — in favor of the seller. An excellent buyer’s agent lives and breathes their local market. They’ve likely been inside and know the history of dozens of homes nearby. They’re connected to the community, and they know the best inspectors, lenders, architects and attorneys. They’ve facilitated many transactions, which means they know all the red flags and can tell you when to run away from (or toward) a home. Many people think of “agent” as a generic term and that all agents are created equal. A great local agent can make an incredible difference, so never settle. The right agent can save you time and money, keep you out of trouble and protect you. Consider an agent who has lived and worked in the same town for ten years. They know the streets like the back of their hand. They have deep relationships with the other local agents. They have the inside track on upcoming deals and past transactions that can’t be explained by looking at data online. Compare that agent to one who’s visiting an area for the first time and needs their GPS to get around. Some agents aren’t forthright and might be more interested in making a sale. Many others care more about building a long-term relationship with you, because their business is based off referrals. In a previous generation, sellers who wouldn’t deal with any agents tried to sell their home directly to a buyer to save the commission. Smart sellers understand that real estate is complicated and that most buyers have separate representation. And many FSBO sellers will offer payment to a buyer’s agent as an incentive to bring their buyer clients to the home. If you see an FSBO, don’t be afraid to ask your agent to step in. Most of the time the seller will compensate them, and you can benefit from their knowledge and experience. can reduce your real estate stress!